Rebecca Rusch and Huyen Nguyen rode the Ho Chi Minh Trail in March 2015 for the film "Blood Road." In mountain bike circles, she's known as the Queen of Pain. 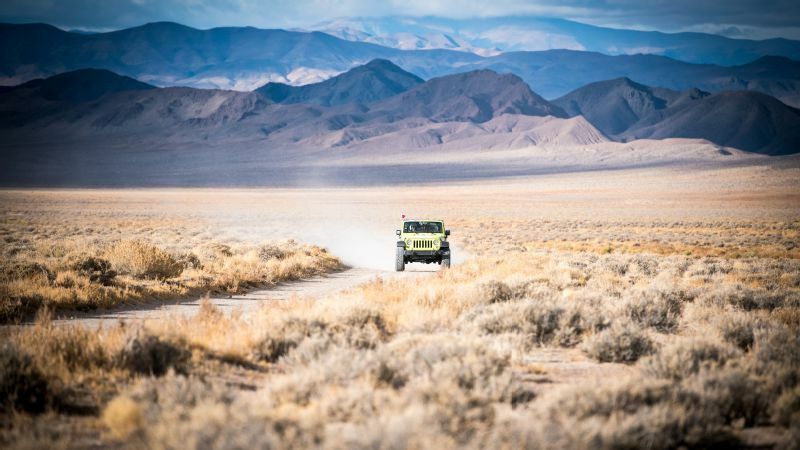 But when Rebecca Rusch began a grueling 1,200-mile trek on the Ho Chi Minh Trail in the spring of 2015, through previously unridden areas of Vietnam, Cambodia and Laos, with a film crew in tow, she did so not to suffer, but to heal. Rusch was 3 years old when, on March 7, 1972, her father's plane was shot down over Laos during the Vietnam War. She and her family didn't known what became of U.S. Air Force Capt. Stephen A. Rusch and his co-pilot until 2007, when a search-and-recovery mission identified the crash site and discovered his remains. Learning of his death awakened a desire in Rusch to learn more about the father she'd never known and the war she'd read about only in books, and to visit his final resting place in search of internal peace. Rusch is a four-time winner of the grueling Leadville Trail 100 mountain bike race, a seven-time world champ, and one of the most accomplished endurance athletes in the world. She knew she had the mettle to attempt the ride. But she didn't foresee the emotional endurance the trip would require, or the way those 1,200 miles -- a network of roads and paths that the North Vietnamese used to bring troops and supplies into South Vietnam during the war -- would change her and the course of her life. Vietnamese mountain bike champion Huyen Nguyen rode alongside Rusch on the expedition. 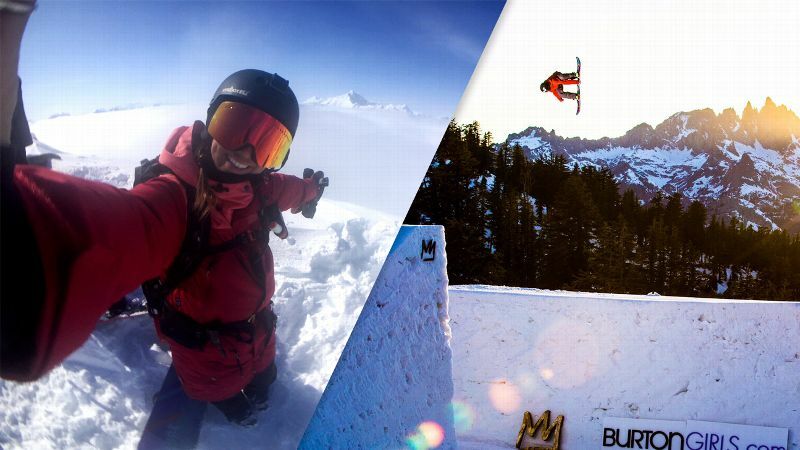 The Red Bull Media House film "Blood Road" documents their journey and is screening throughout the U.S.
At the Los Angeles premiere of the film, espnW met with Rusch and Nguyen, who spoke through an interpreter for the interview. "Blood Road" will be available for purchase through iTunes, Google Play and Amazon on June 20. "There's a place I've been avoiding for a long time. It's been in my thoughts for more than 40 years," Rusch says in the opening narration of the film. "What happened there long ago set me on this path. There are still so many unanswered questions, and I'm not sure I'll find what I'm looking for..."
As does the film, our interview begins here. espnW: When you arrived in Vietnam, what is it that you were looking for? Rebecca Rusch: The obvious answer is I was looking for the crash coordinates. What is at this location and what went down there? I love maps and navigation and I wanted to find these coordinates. But as far as finding myself, that wasn't the initial drive. espnW: I won't ask if you found what you were looking for, because that would give away too much of the film. But what surprised you most about the Vietnamese and Lao people you came to know? RR: How friendly and open they were towards us, because we were their enemy. They welcomed me into their home. Mr. Airh [Airh Suanduangpanya, the village chief of Ta Oy, the district in Southern Laos where Rusch's father's plane crashed] took me into his home. My dad was shooting at his family. And also how they've forgiven and moved on a lot better than the Americans have. Yet the scars are still there on their land. 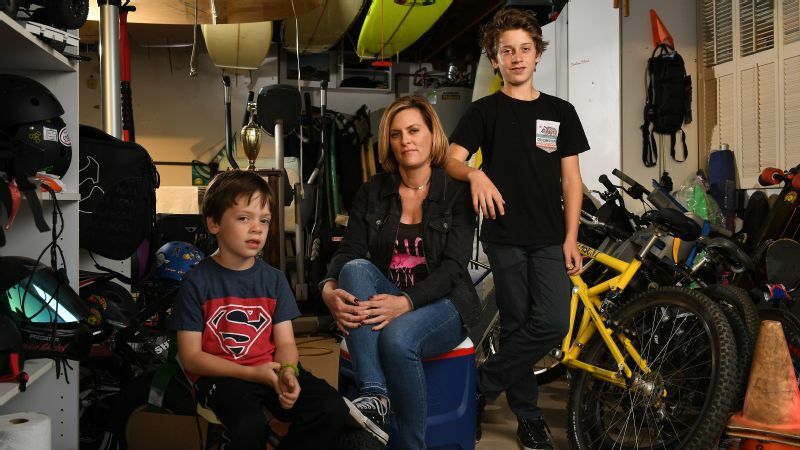 espnW: Until his remains were found in 2007, you didn't know what happened to your father. Growing up, what did you believe had been his fate? RR: Maybe he died; maybe he was a prisoner of war. As a kid, I heard stories of soldiers who started new families. I wondered, did he have another family in Laos and didn't know we were waiting for him to come home? I had this really vivid reoccurring dream where I would meet him in a coffee shop as an adult and he'd be playing music, and we'd sit down and I'd tell him about my life. I had that dream over and over until 2007 when they found his remains. Then the dreams stopped. espnW: When did you begin planning this trip to ride the Ho Chi Minh Trail and visit his crash site? RR: I went to Vietnam for the first time in 2003, even before they found his remains. My mom and I visited his Air Force base and the Hanoi Hilton where prisoners of war were held, and many historic sites. I remember our guide pointed over into Laos and was like, "See that, that's the Ho Chi Minh Trail." I took a picture and thought; I want to go there some day. It's not like that day, I decided I would do this trip. But I remember thinking, I wonder what's over there? espnW: At the beginning of the film, you meet Huyen for the first time at her home. How differently did you see the Vietnamese people after spending time with Huyen and her family? RR: It really humanized things. Her father and my father were at war together, and my father was dropping bombs on them, but still [I was] welcomed into their home with open arms. Huyen says it in the film, she didn't think of the men in the airplanes as people. Showing her pictures of my dad and us becoming friends, and meeting her dad and hearing about the bomb crater that's still in her yard, it makes it much more human than the one-dimensional pages in a book. Those stories aren't real until you are flesh and blood with somebody and can look into their eyes and say I'm sorry. espnW: What did you expect to get out of sharing this experience with each other? RR: I was mostly nervous about riding with a stranger and doing something so big and important to me with someone I hadn't met. It was my biggest fear about the trip because it was uncontrollable. Huyen exceeded my expectations. She was so much stronger than I expected. Without being able to speak the same language, it made us communicate in a different way. She made me see myself and the trail and the country in a different way than if I had been able to fall back on easy communication with somebody I knew. I wouldn't have learned as much. She was a great tour guide. We'd go by a rice field and she'd explain, this is how they make the rice and this is why the bomb holes are still there and you can eat this plant. She was showing me her country and her world. 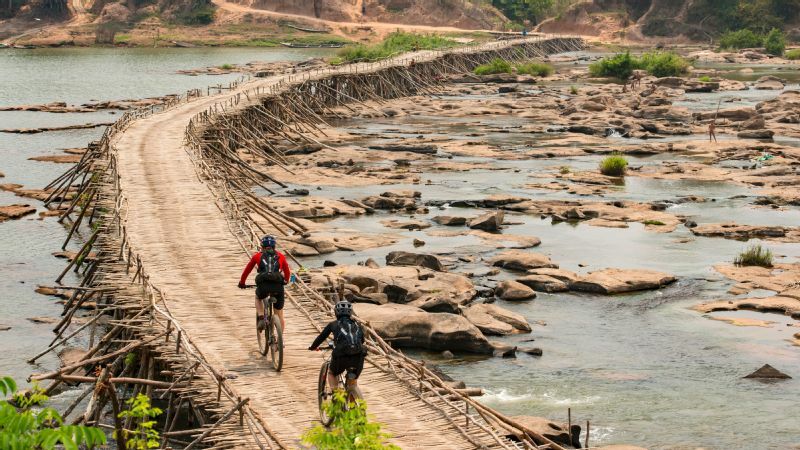 Huyen Nguyen: Any Vietnamese citizen would dream of cycling on the Ho Chi Minh Trail. It's an honor to do that. Also, being able to meet Rebecca, a world-famous cyclist, was an honor. I admire Rebecca. It was very emotional to be a part of her journey. It was a once-in-a-lifetime experience. 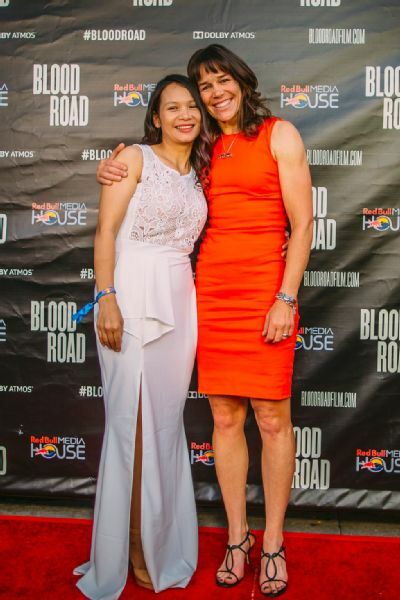 Huyen Nguyen, left, and Rebecca Rusch, at the premiere of "Blood Road," developed a friendship and a bond throughout their biking journey, despite language barriers. espnW: There a are a lot of intense physical moments in the film. What was toughest for you? HN: I was amazed at the cave we went through, the climb, the waterfall; it was dark and cold and very tiring, physically challenging, for all the crew. It was very tough, and I couldn't believe we actually did it. I was amazed at Rebecca's strength when I saw her jump with her hands clawing into the rock and climbing boulder to boulder, with the bicycle on her shoulder. No man can do that. All the cameramen looked at her and said, "Look at Rebecca!" It was amazing. It was an unbelievable sight. 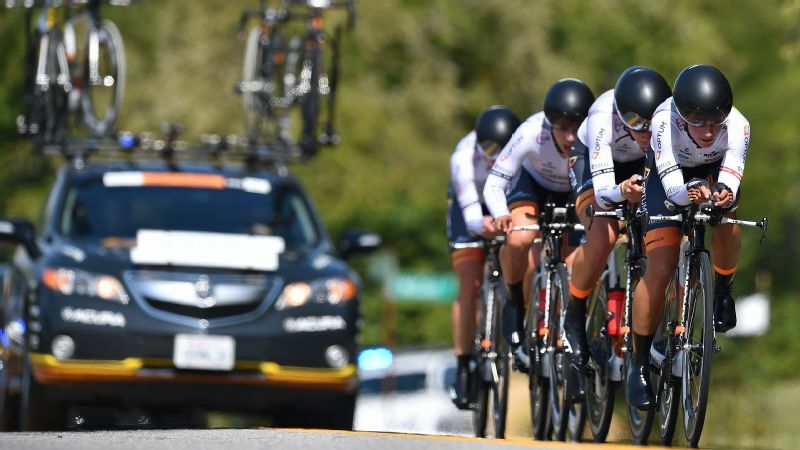 espnW: Were there ever moments when you thought you couldn't continue, that the trail was too difficult? HN: There were times when we fought, when we were screaming in the cave and arguing about the hardship. During those physical hardships, [though] we would get frustrated because of what we went through, we understand each other more and became better friends. She always waited for me, so therefore I had to try harder for her. espnW: What did you learn from each other? RR: To slow down, to turn my head a little, see things in a more 360-degree view. Every trip I do has gifts you get along the way, but this one especially, it was elevated by being with a stranger and somebody from the country. It was much more about the journey. And the journey's not over. Having Huyen here [in L.A.], telling the story two years later, it's still continuing. HN: I learned I can ride through the night. I can hike and canoe and climb and live in the forest and camp. I'd never done those things. I never had a teammate who works like Rebecca. She has no boundaries. She is a wonderful teammate. She expanded my horizon. RR: She might have been impressed by my physical strength, but I was impressed with her emotional strength. I supported her physically, and she supported my mission emotionally. espnW: You were especially moved seeing the bomb craters along the trail, witnessing children playing in those craters, which fill with water in the rainy season, and learning of the millions of undetonated bombs that threaten the lives of the villagers. What were you compelled to do? RR: I've been back twice. On one trip, I took a group of 15 mountain bike riders on a condensed version of our trip and showed them what I saw. They had the same reaction I did. They thought, what a beautiful place, we can't believe we didn't know about the bomb craters, and what can we do about this? I partnered with Mines Advisory Group (MAG), which clears our undetonated bombs around the world. I'm working with them in Laos. That's what I can do, and [Laos is] where my dad was. The estimate is at the current rate, it will take another 100 years to clear the undetonated bombs from Laos alone. That's why I feel like I have to do something. espnW: You also created a series of bracelets with the organization Article 22, which feature your father's and your handwriting, and are made from scrap metal from these bombs. How do the bracelets help? RR: Their slogan is, "Love is the bomb." This is a repurposing for the trash. And the money raised from each bracelet clears 3 square meters of land in Laos, which makes it safe for people to live and farm. I plan to go back with Article 22 soon and embed with an MAG group, learn the process, and trace the jewelry [from collecting the metal to] being made by the local artisans to get a little deeper into the story. espnW: Looking back, do you think there was a bigger purpose for your trip? RR: It was instructions from my dad. It's him fathering me, even though he's been gone. It's him teaching me, here's what you can do to help heal. I do believe he brought me there to show me that. I can use my cycling and this film and my reach to close the circle. espnW: What is the one message you want people to take from this film? RR: Forgiveness -- of yourself, of your family, of what we've done. Forgiveness solves a lot of problems.